Following the meeting with the Iraqi Prime Minister Al Habadi in Baghdad, the Italian Minister of Defense Roberta Pinotti on the afternoon of February 1st arrived in Erbil, accompanied by a senior delegation composed of the Chief of Staff Gen. Claudio Graziano, the Diplomatic Advisor, Min. Pl. Nicoletta Bombardiere with the respective heads of Cabinet, the Commander of the Italian military contingent in Erbil, Brig. Gen. Francesco Maria Ceravolo and other officials of the Italian Ministry of Defense. Minister Pinotti airport of Erbil International was received by the minister of the interior and the peshmerga Karim Sinjari, the Head of the Department of Foreign Relations, Minister Falah Mustafa, the High Representative of the KRG in Italy, the Rezan Kader and Dr. Italian side the Italian Ambassador in Baghdad, Dr. Marco Carnelos and the Italian Consul in Erbil, Dr. Alessandra Di Pippo. The Italian Minister of Defense met the Prime Minister Nechirvan Barzani which hosted a welcome dinner and visited Italian troops in Erbil. The Prime Minister thanked the Min. Pinotti for Italy's role and its continued military support and humanitarian aid. On the other hand, the Min. 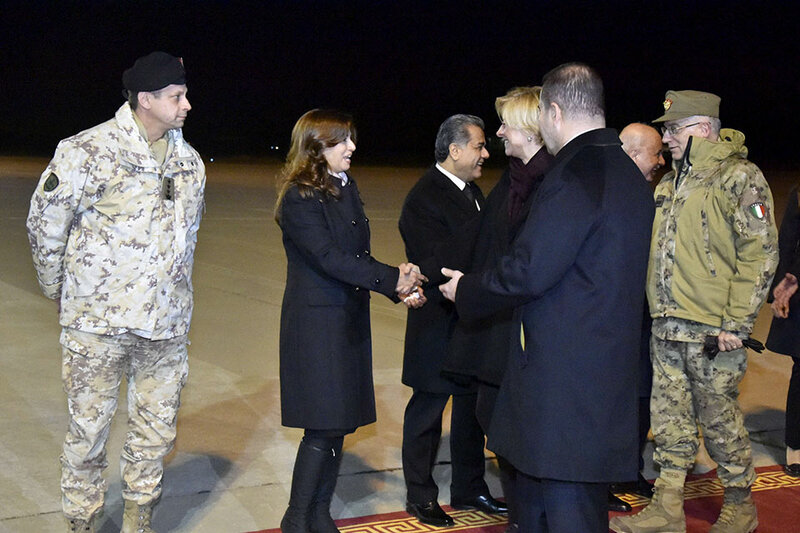 Pinotti has expressed to the Prime Minister to be very pleased with the good cooperation achieved between the KRG and Baghdad at military level, hoping that this mutual understanding will be achieved at political level. Today the Minister Pinotti will visit the dam of Mosul, where 500 Italian soldiers are stationed, and the representatives of the Trevi Italian company that is working on the restructuring of the dam , Dr. Kader said to the reporters that institutional visits in the Kurdistan region are significant because they demonstrate a strong interest of the European countries for the region and the Peshmerga forces. 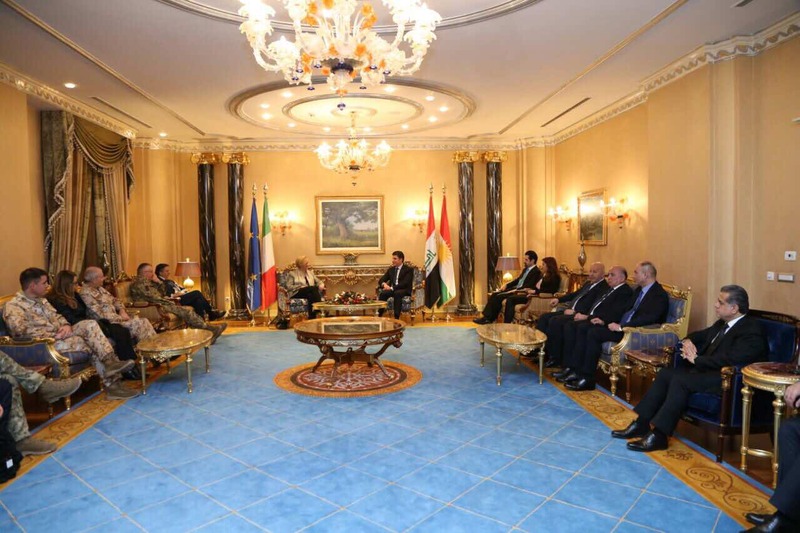 Kader added that since the beginning of the war against the terrorists of ISIS, Italy has been an important part of the international coalition and Italians are the second largest military force in the region , "Italy has supported the peshmerga forces with weapons and supported the region with humanitarian assistance," she told reporters in Erbil International Airport.